Come out and celebrate New Year’s Eve 2019 at the hottest spot in Tallahassee, GVO!!!!! Ring in the New Year while enjoying and OPEN TOPSHELF BAR, fireworks and watching the ball drop on 8 of our state of the art video display walls! 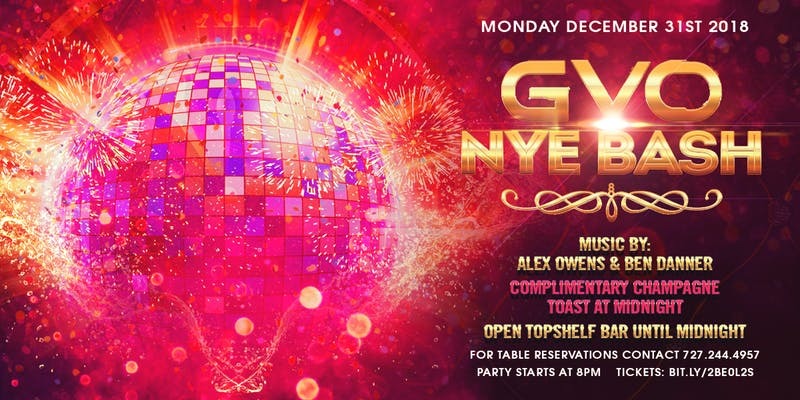 New Year's Eve at GVO is an event you do not want to miss!